By 2002, Big Finish was flourishing, and it was time to do what K-9 and Company couldn’t: bring back Lis Sladen in a spinoff series that wasn’t embarrassing. 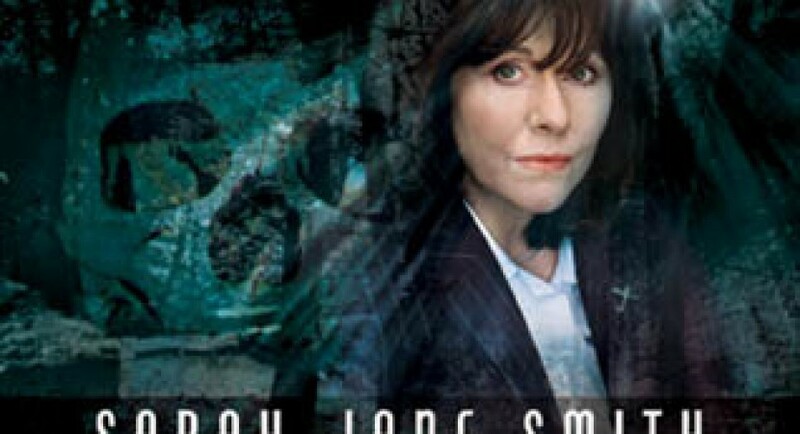 While the Sarah Jane Adventures five years later would be lighter, warmer, and more suited to a young audience than modern Who, Big Finish took the opposite approach, pitting investigative reporter Sarah Jane Smith against a sinister underworld of shadowy corporations, fishy government projects, and bribed officials. I generally like these stories, gritty little 1-hour mysteries and thrillers that remind me of old radio plays. Alas, there’s only two seasons, and they end on a desperate cliffhanger that was never resolved. There’s no references to them in the TV Sarah Jane Adventures. As with Benny, the lead is a shrewd, sassy, strong-willed and independent woman, exactly how classic Who’s Sarah Jane was supposed to be, a feminist character who sometimes suffered at the hands of non-feminist writers. The first story is two in one. Sarah Jane is being hounded by forces unknown, feelers of a megacorp she investigated for corruption. A likeable young man, Josh Townsend, gets swept up in her life during one of the “accidents” that keep happening in her vicinity. Meanwhile, a tree-hugging mutual friend of theirs is sniffing out fishy business in an idyllic English village that’s made a deal with yet another shady corporation. For Sarah, there are no coincidences— in fact her friends scold her for paranoia— and she’s determined to ferret out the truth. I love having Sarah Jane in the lead role with capable assistants: Natalie Redfern, a wheelchair-bound computer whiz who hacks into the web (this was pre-Facebook!) to provide intel, Ellie Martin, an environmental protestor, and sardonic Josh Townsend, former teenaged hooligan trying to stick to the straight and narrow since he got out of jail (not always easy, since SJ’s methods of investigating bend the law). Josh is voiced by Jez Fielder/Jeremy James, who also plays Nyssa’s husband Lasarti, and he’s a brick. Nat is voiced by Lis Sladen’s real-life daughter, Sadie Miller. There’s also Mr. Harris, the suave agent tasked with making Sarah’s life hell, and his as-yet-unnamed employer, whom I will refer to as Sarah’s Moriarty. There isn’t a whole lot of time to deal with two mysteries and introduce SJ’s new cast of regulars in 70 minutes, but this audio packs as much into an hour and change as some Main Ranges do in two. Comeback is a solid pilot leaving some juicy loose ends for future stories. It’s too bad it (like a lot of the early BF spinoffs) is only available on CD.